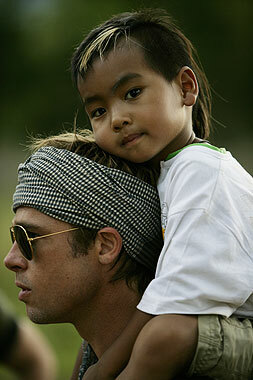 If there could only be one ambassador for Cambodia and the krama in the world, it would have to be Brad Pitt. The American actor is an ardent admirer of the country and culture of the Khmer people. Together with his wife, Angelina Jolie, they even adopted their first child, Maddox Chivan (born on August 5 2001) from the Kingdom of Cambodia. Father and son both enjoy wearing this traditional Cambodian scarf but, as you can see from these photos, they each have their own way of wearing the krama. 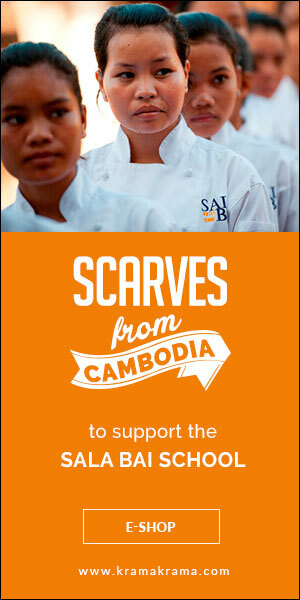 And you, do you wear krama scarf from Cambodia ?